As a mother, you love your kids. You’d do anything for them, but chances are, at some point in their childhood, you’ve probably wondered, “What in the world was I thinking?” Even if you’ll never admit it, if you’ve ever wished for Calgon to take you away, then The Motherhood Diaries is for you! As the working mother of three children, ReShonda Tate Billingsley knows motherhood isn’t a perfect science. She openly shares stories with her thousands of followers on social media about her children: thirteen-year-old Mya, the diva whose Instagram post—and subsequent punishment— went viral; to ten-year-old Morgan, who has a serious case of middle-child syndrome and a knack for giving her teachers a few of her mother’s favorite things; and finally, Myles, a witty and precocious five-year-old who, as his grandmother says, “has been here before.” It was while chronicling her journey that she discovered she wasn’t the only mother who longed for the days when she could use the restroom in peace, who sometimes sat in the driveway because she didn’t want to go in the house, and who sometimes wondered, Is this what I signed up for? Hence, The Motherhood Diaries was born. Through humorous and enlightening dialogue and narrative, ReShonda chronicles her own journey, as well as reveals candid imperfections of a mother trying to balance it all. 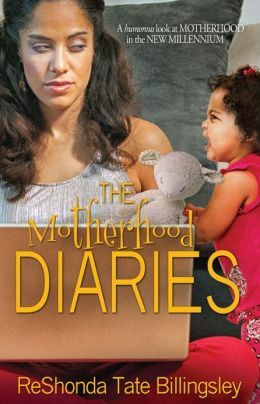 With humorous and heartwarming stories from other mothers also trying to “get it right,”The Motherhood Diaries shares candid and honest conversations about the good, the bad and the downright disastrous path of mothering in the New Millennium.